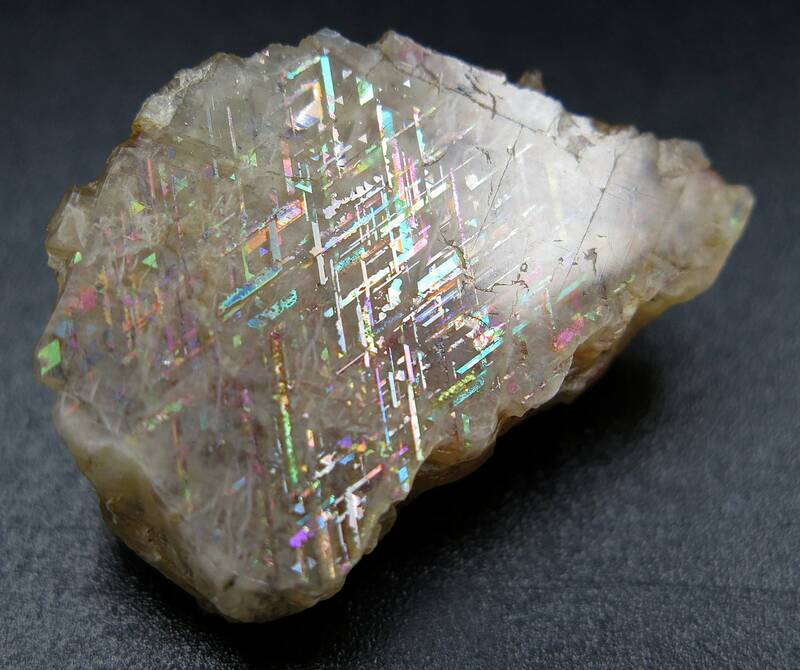 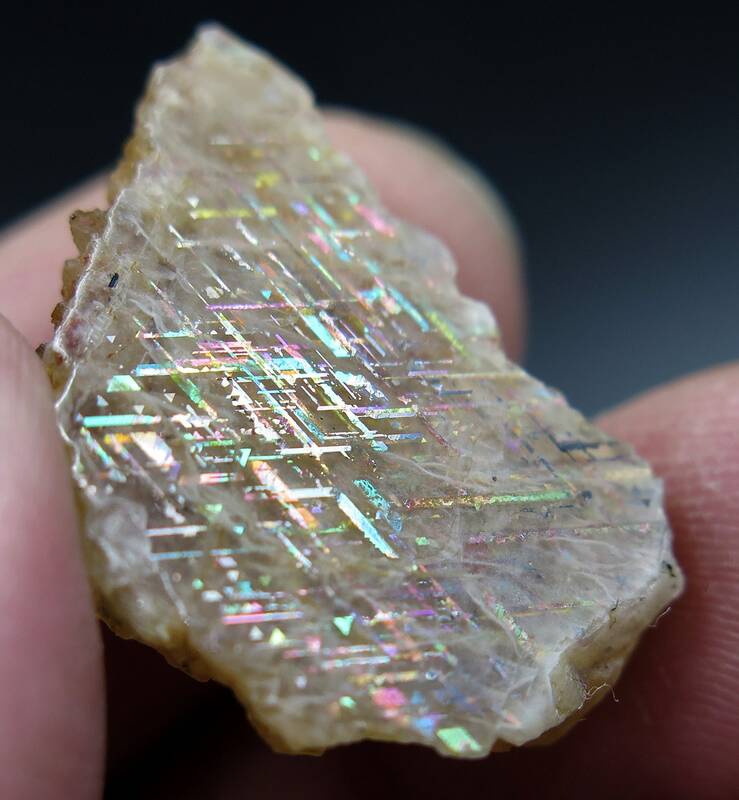 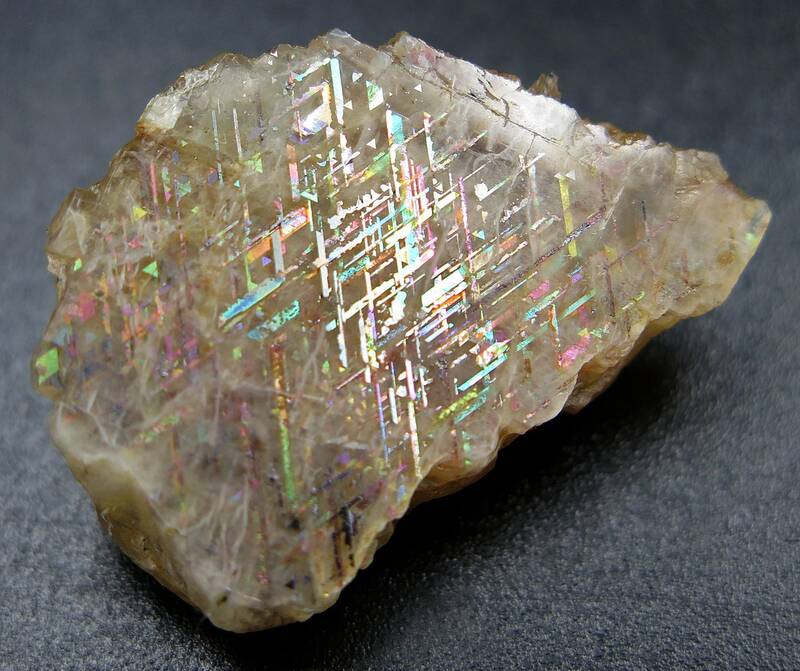 22.5 carat Rainbow Lattice Sunstone Harts Range, Northern Territory, Australia. 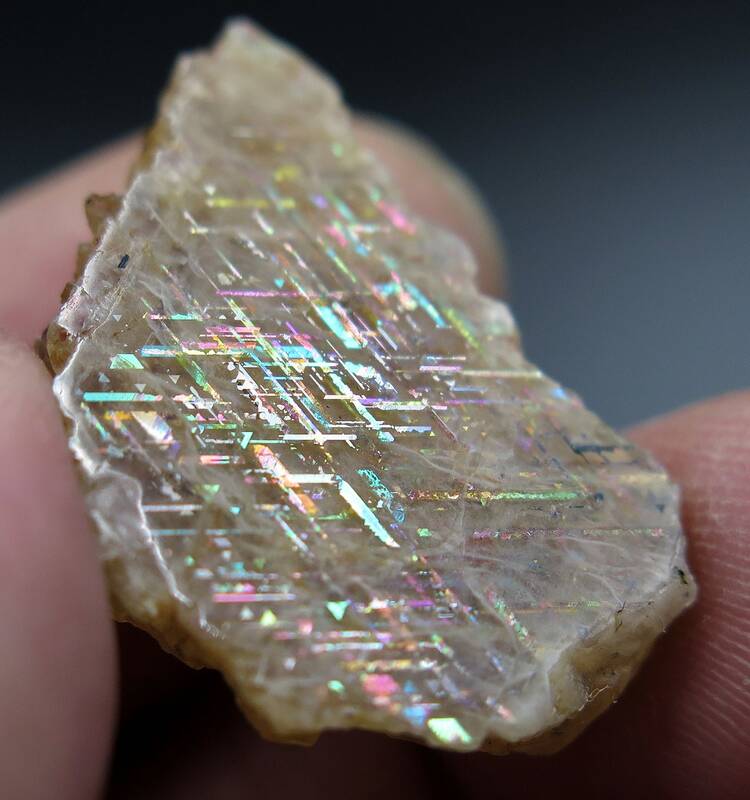 Flash is almost total on one side depending on how it is tilted. 1 1/8 inch across.